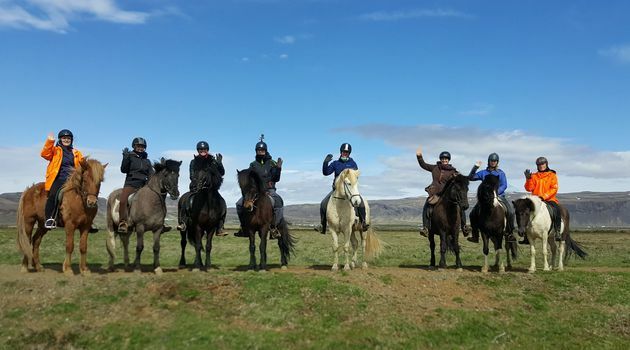 The tour starts at our farm Vellir, where we ride for 1.5-2 hours on excellent riding trails in the charming countryside, enjoying the view of volcanic mountains and wide meadows. 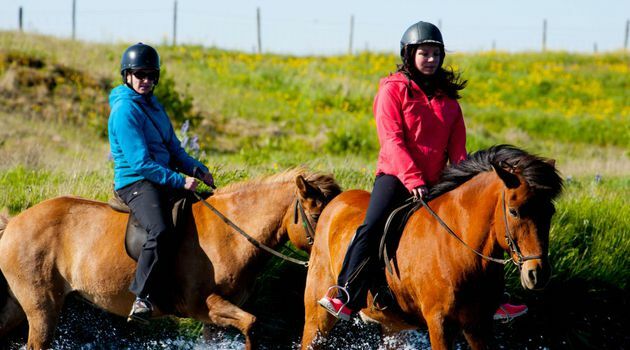 After the riding tour we have lunch at Hotel Eldhestar and then you will be picked up to visit the world-famous Geysir geothermal area and Gullfoss, the “golden waterfall”, as well as Thingvellir National Park. 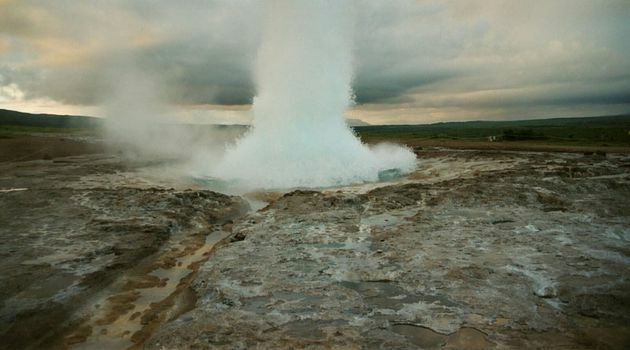 The Geysir geothermal area boasts spouting springs, including Strokkur, the most active geyser in Iceland. 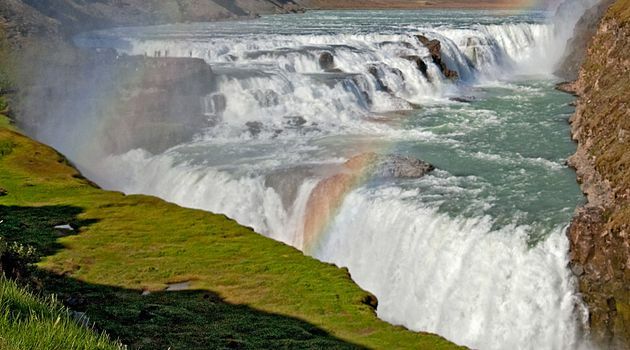 At Gullfoss you are given the opportunity to stand next to the amazing waterfall, watching enormous quantities of water tumble violently into a deep, meandering gorge. 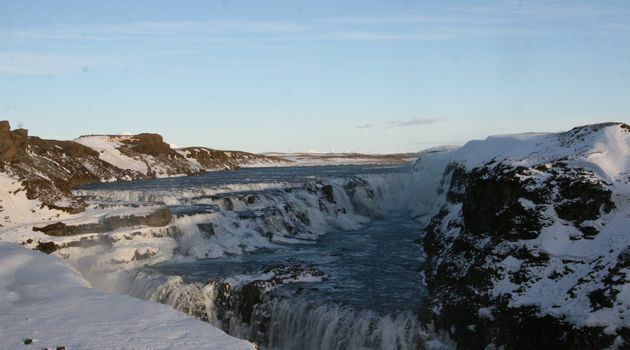 You also spend time encountering a cross-section of Iceland’s natural wonders and geological phenomena at Thingvellir National Park, an area of historical and geological significance. 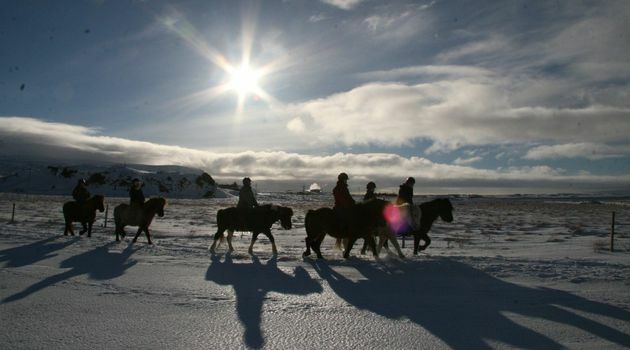 One-day tour including lunch at Hotel Eldhestar and bus excursion. 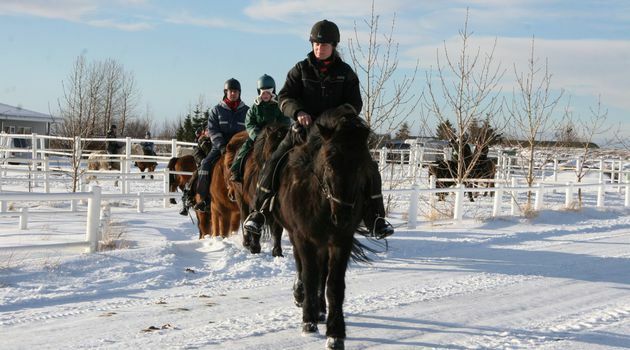 Hotel pick- up in Reykjavik every day in the period 1st of February - 31st of October between 8:00-8:30. Return to Reykjavík ca. 18:00. 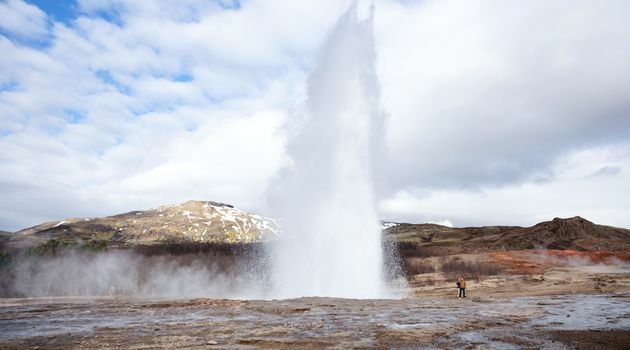 Note that pick up from hótels in Seltjarnarnes, Hafnarfjörður, Kópavogur and Mosfellsbær is at 7:45 and pick up from Hveragerði and Selfoss is at 8:45. 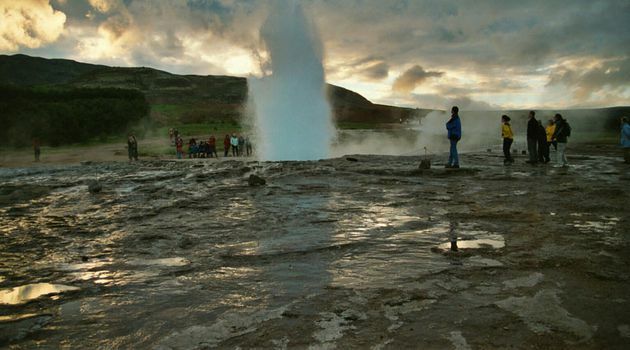 NOTE: This tour ends in Reykjavík and transfer back to Eldhestar, Hveragerði or Selfoss is not available by Eldhestar bus!